Stony Brook, NY, April 1, 2013 — New York Sea Grant is accepting applications for four mentor teachers for this year’s Long Island Sound Mentor Teacher program in New York. Pairs of teachers from each of the following grade level subsets are encouraged to apply: K–8 and 9–12. Each grade level specific pair will work together to plan and execute a professional development session for their peers that will be conducted in New York. There is funding for each pair to provide an outdoor component as part of the session. Each teacher will receive a stipend ($25.00/hour for 40 hours = $1,000 stipend per teacher) and lots of Long Island Sound resources for you and your classroom! 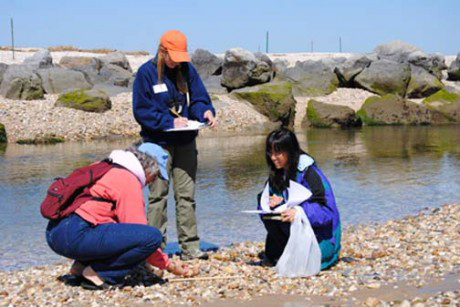 The Long Island Sound Mentor Teacher (LISMT) program, now in its third year in New York, is sponsored by New York Sea Grant and funded by the EPA Long Island Sound Study. The program goals are to promote the use of Long Island Sound educational resources, and to promote the interdisciplinary use of the Long Island Sound watershed and its resources in K-12 classrooms. Email a two-to three-paragraph statement describing (1) why you would like to be a LIS Mentor teacher and (2) your ideas for the one-day workshop that you would like to conduct to Amy Boyajian, Long Island Sound Study Outreach Coordinator, by Monday, April 29. The deadline was extended from April 15. Please remember to include your name, phone number, email, school, and grade level that you teach. The dates and locations for the LISMT professional development workshops will be determined by the teachers selected. If you have any questions, please contact the Long Island Sound Study Outreach Coordinator, Amy Boyajian (pictured below), at acb328@cornell.edu or 631-632-9216. Boyajian began working in the position in late February, taking over for Larissa Graham, who vacated the post in mid-January after five years. Graham has relocated to Ocean Spring, Mississippi, where she accepted the Coastal Training Program Coordinator position at the Grand Bay National Estuarine Research Reserve (NERR). Boyajian comes to New York Sea Grant from Rutgers University in New Brunswick, New Jersey, where she was a Program Associate for the Rutgers Cooperative Extension Water Resources Program as well as a Water Resources Agent for New Jersey Sea Grant. In these roles, she was in charge of New Jersey's rain garden program and conducted outreach on stormwater management to communities throughout New Jersey and the region. 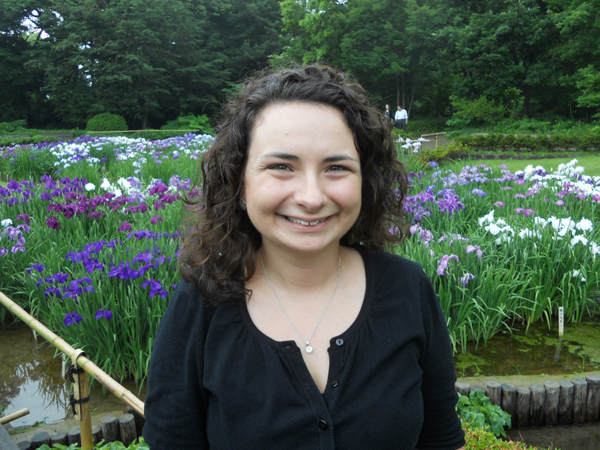 Amy holds a master's degree in science education at the Rutgers Graduate School of Education in New Brunswick and a bachelor's degree in environmental science at Cook College, also in New Brunswick. "I enjoy working in team environments to solve complex environmental problems and appreciate the opportunity to develop and implement outreach programs that not only help solve environmental issues but also engage and motivate stakeholders," Boyajian said.